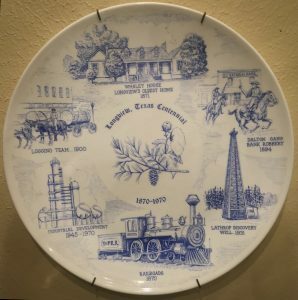 A commemorative plate hangs in our house, from Longview’s centennial celebration in 1970. It features a half-dozen scenes from the city’s history, such as the Lathrop Discovery Well in 1931 that ushered in the East Texas oil boom, and the Dalton Gang bank robbery of 1894, which is reenacted on the brick streets of downtown Longview every spring. My dad was a 37-year-old commercial artist in 1970. We had moved to Longview 18 months earlier from New Hampshire to escape the harsh winters and sluggish economy. He quickly secured a job working as a sign painter for a company that held the contract for all the signage at Texas Eastman. On the side, he spent his evenings drawing and painting, in the carport my maternal grandfather enclosed to create a studio, not long after my parents bought a house on South Twelfth Street. Several years ago, I was in downtown Houston for my niece’s wedding. My two younger brothers and I walked to the Flying Saucer Draught Emporium to drink a beer. The décor of this small chain consists of dozens of commemorative plates (saucers — Get it?) affixed to the wall. Someone must spend a lot of time combing yard sales and scouring eBay to find inexpensive plates. As we sat sipping our beers, brother Scott suddenly got up and made a beeline to the opposite wall. 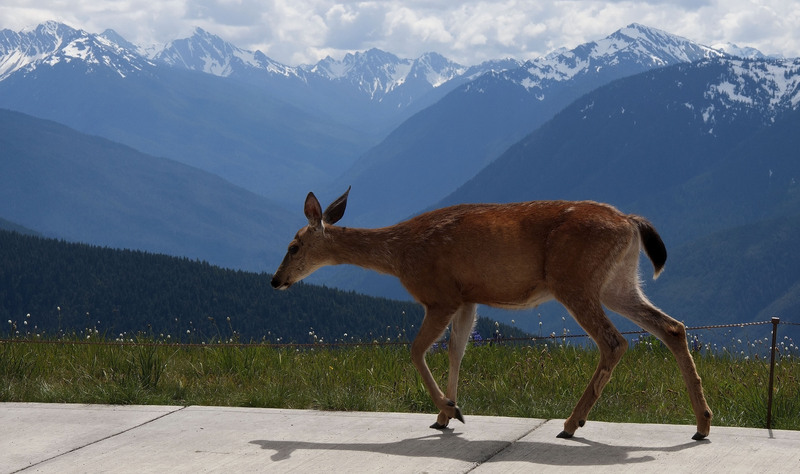 He peered up a few feet above his head, and then motioned for us to come over. Our dad’s plate was hanging in the sea of plates in that Houston restaurant. That was a sweet moment for the three sons of Brad Borders, who had passed away a month earlier. Back in October, I glanced at my dad’s centennial plate while getting a La Croix out of the bar fridge. Several stories have appeared in the paper about Longview’s sesquicentennial celebration next year. When Texas turned 150 years old, my dad created a print similar in motif to the Longview plate. We chipped in together and had 2,000 copies printed. I spent a number of weekends in 1986 hanging out with my dad at AlleyFest in Longview and similar festivals across East Texas. It was not a great financial success, though a few years ago I came across a framed copy in the restroom of the San Augustine Chamber of Commerce. That was a bit of a shock. When I told the chamber folks my dad had created the print in the bathroom, they were horrified and promised to move it to a more esteemed location. I allowed as how more folks probably saw it in the bathroom, since they have to look somewhere while conducting their business. Then it hit me as I again admired the plate on the wall. I should do something to honor my dad’s centennial and sesquicentennial works. I can’t draw flies. But I could do something. And that is how @longviewtx150 was born. What if I interviewed 150 Longview folks from all walks of life? After mulling this over a bit, I texted my buddy, Rufus Lovett. I invited him out for a beer when I got off work. Rufus and I have been friends and colleagues for more than thirty years. He is a nationally acclaimed photographer and recently retired as photo instructor at Kilgore College after more than four decades. That night, I joked that he clearly needed something to do, after he posted a Facebook shot of “The Andy Griffith” show, which he was watching early one weekday morning. I pitched the idea to him. He would make the portraits while I would write short narratives about each subject. He readily agreed, and we have been hard at it ever since. With help from several people in town, I compiled a spreadsheet of possible subjects. Both of us are striving to be inclusive and to represent this community to the best of our abilities. We plan to be finished by the end of the year, and are on pace to do so. Neither of us is making any money on this project but hope to raise funding for both an exhibit and possibly a book. The best part is getting to know our subjects, or at least learn more about them if we already do know them. I think my dad would have liked this idea. If you want to nominate someone, it is not too late. Drop me an email at garyborders@gmail.com, or message me on Facebook. It will be 2020 before we know it.